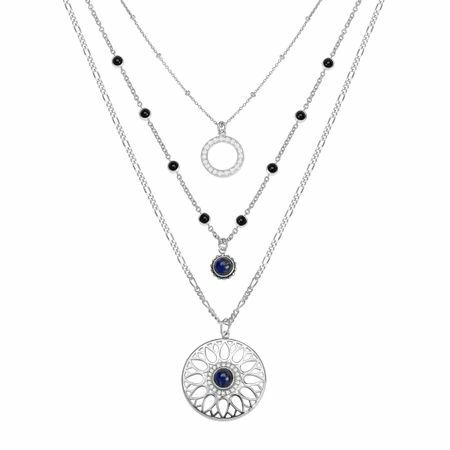 Three tiers of sterling silver chains are dotted with blue lapis, black agate, and gleaming white cubic zirconia for an eclectic look you'll love. Chains are removable for customizable style. Chains measure 16, 18, and 20 inches, plus a 2-inch extender for adjustable length, and feature lobster clasps.